But on more than one occasion, I have walked into a law firm and faced, not a comical situation, but a situation that sticks in my memory. The story line is always something like this: I’ve been asked to advise some company or organization about an antitrust problem. This is not surprising because antitrust economics is one of the subjects I teach, and it is the focus of my research. Often, I’m invited to a meeting at the law firm representing the company or organization. It is about honor; it is about architecture; it is Charlottesville; it is Mr. Jefferson. Having grown up in Michigan, I know how common it is for graduates of the University of Michigan or Michigan State University (my alma mater and UVA President Terry Sullivan’s) to talk about their schools. But the conversation is usually about who won (or lost) the last football or basketball game. 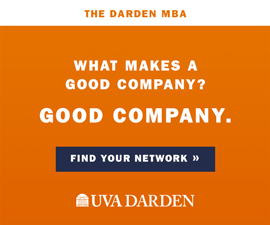 What catches the attention of these attorneys is that UVA graduates talk about their school in a multifaceted, multiplatform sense. UVA is not just about sports. It is about Honor; it is about architecture; it is about history, academics and student self-governance; it is Charlottesville; it is Mr. Jefferson; and more. This is not to say that graduates of other schools are not (as the Beach Boys once put it) “true to their school.” But I’ve come to realize that UVA is different. The University of Virginia represents the academic manifestation of modern portfolio theory. 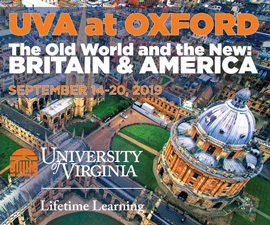 UVA is a diversified bundle of assets and features that sends graduates out talking about their University. I joined the UVA faculty fresh out of graduate school in the fall of 1967. I’ll let you do the math as to how long I’ve hung my hat, first in Rouss Hall and now in Monroe Hall. Over these years, this characteristic of UVA graduates—“That’s all they ever talk about”—has been a constant. Kenneth G. Elzinga is the Robert C. Taylor Chair in Economics at the University of Virginia. UVA was wonderful to me when I went there, and even now after 2 years I feel like I love it more and more. I thank my teachers, each and every one of them, for giving me the best classes of my life. 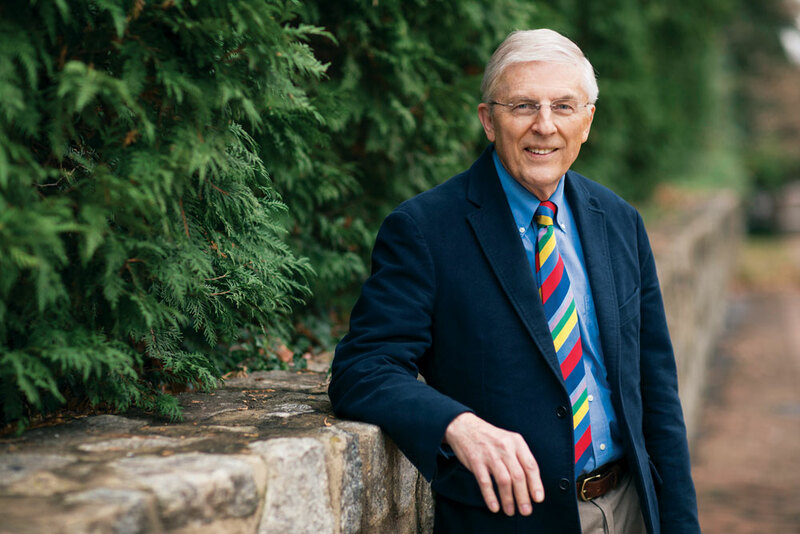 Dr Elzinga is the Essence of why we love UVa. He made the Dull Science interesting. He made us want to go to class. He was instrumental in my success in life and I thank the professor. Prof Elzinga sparked a passion for economics that dramatically influenced my course of study from engineering and thus my career and life after UVA. Thank you, sir. I’ve pondered this for years, never daring to think that graduates of other universities aren’t as proud/fond/enamored of their schools as we are of ours. However, 30+ years after graduating I’ve come to realize that when one is especially proud of something it’s only natural to make it a focus. Just getting admitted to UVA is an outstanding accomplishment and upon gradution we joined a very long list of distinguished UVA alumni in almost any field one can name. Charlottesville is a beautiful place steeped in history. Our university was founded by the third President of the United States and the author of the Declaration of Independence. Our school is an architectural marvel and a World Heritage site. As alumni we have so much to be proud of with regard to our university that I daresay our collective pride is very much warranted. It’s so funny to read this from someone as distinguished as Prof. Elzinga, because it confirms what my wife & I have lived for years: we’re both Hoos, living in Los Angeles, and we talk incessantly about UVA to anyone who will listen! We also often say that “Hoos are EVERYWHERE,” as we run into fellow Hoos literally all over the globe when we travel. It’s uncanny, and it does indeed set us apart from other universities. Thanks, Prof. Elzinga, for confirming this phenomenon for us. addition to the thousands of alumni who deeply appreciate you, there are many others throughout the world who are influenced by your excellent work in economics and your high moral character! May your Advent and Christmas season be blessed as you have blessed many of us! No wonder it is all they ever talk about. It is the same for me. I graduated CLAS 87, was married and widowed, am now retired, and those years still remain the defining period of my life. UVA is special in a way nothing else can match.